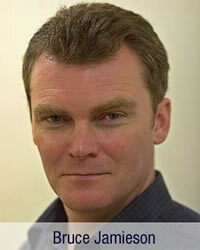 Mr. Jamieson trained for the theatre with companies formed at Aberdeen University and Aberdeen College of Education. His most recent stage credit was as Cllr. Manuel da Mesquita in Galleon’s recent production of The Heiress of the Cane Fields. 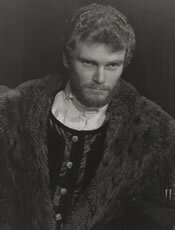 Also for Galleon Theatre Company at the Greenwich Playhouse he appeared as Claudius in Hamlet; as Bosola in The Duchess of Malfi; and played the title roles in Macbeth and The Pilgrim by Almeida Garrett. Mr. Jamieson has appeared in some sixty stage productions along side his television, film and directing work. His many other stage roles include Henry VIII in Anne of the Thousand Days; Gower in Pericles; Jason in Medea; Biff in Death of a Salesman; Tristan Tzara in Travesties; and the title roles in The Ginger Man, Becket, Pericles, and Entertaining Mr. Sloane. Recent television and film includes Murphy’s Law (Tiger Aspect); Monarch of the Glen (Ecosse Films); Spongebob (BBC); Ali G-Inda House (Universal); Roughnecks (BBC); In Suspicious Circumstances (Granada); Crime Solver (BBC); and The Oxford Murders (Tornasol). .
Mr. Jamieson is a co-founding director of Galleon TC Ltd; Galleon Films Ltd. and the Greenwich Playhouse.